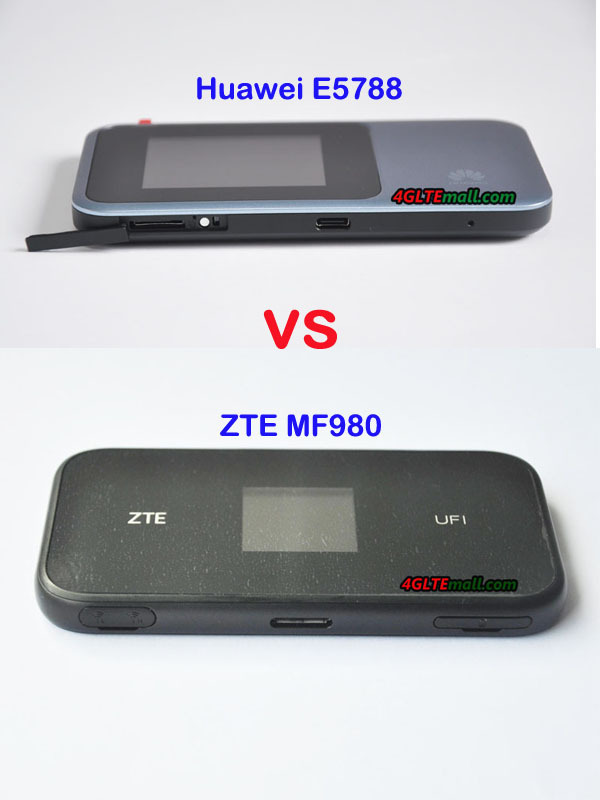 The USB interface of ZTE MF980 is in Micro USB format while the Huawei E5788 using the USB 2.0 Type-C Interface. 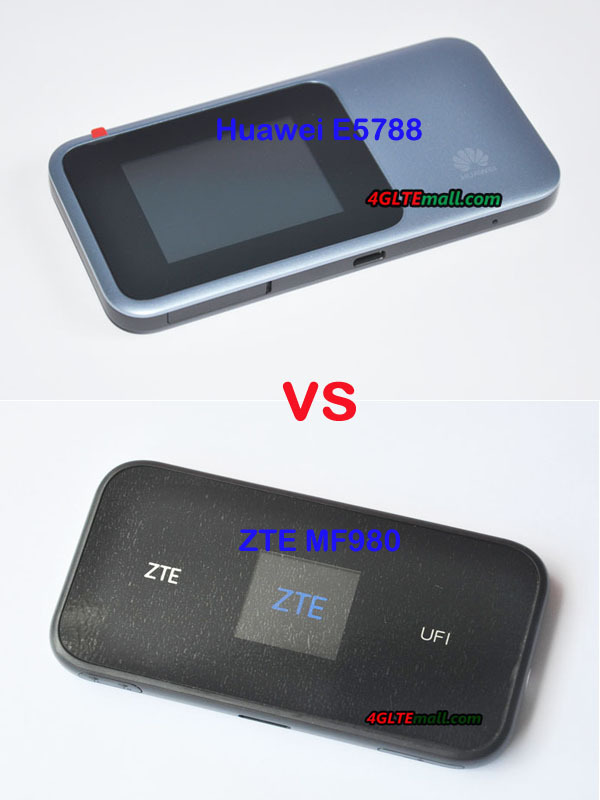 The MF980 has two connectors for external antennas while Huawei E5788 has no external antenna connector, which feature is a great disadvantage for the LTE Advanced Pro mobile hotspot. They both use SIM in Micro SIM size. 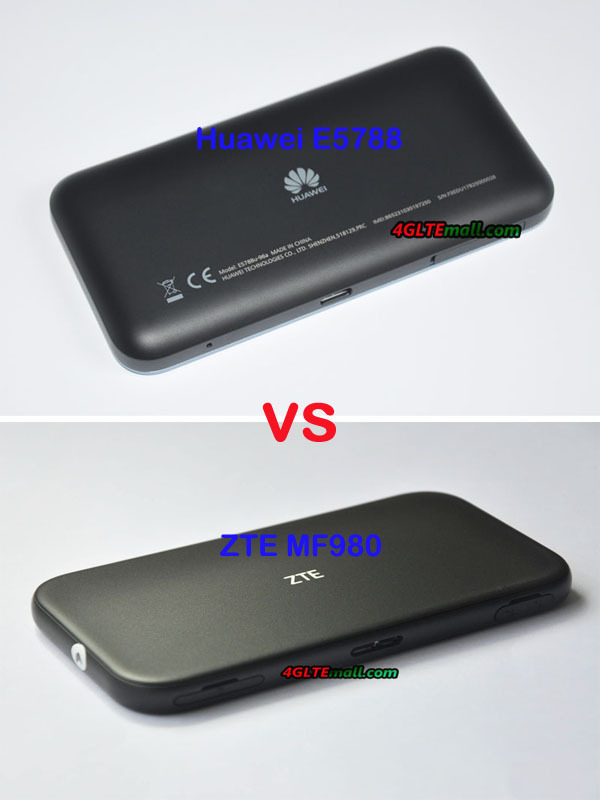 The batteries of both the two LTE mobile routers are non-removable. 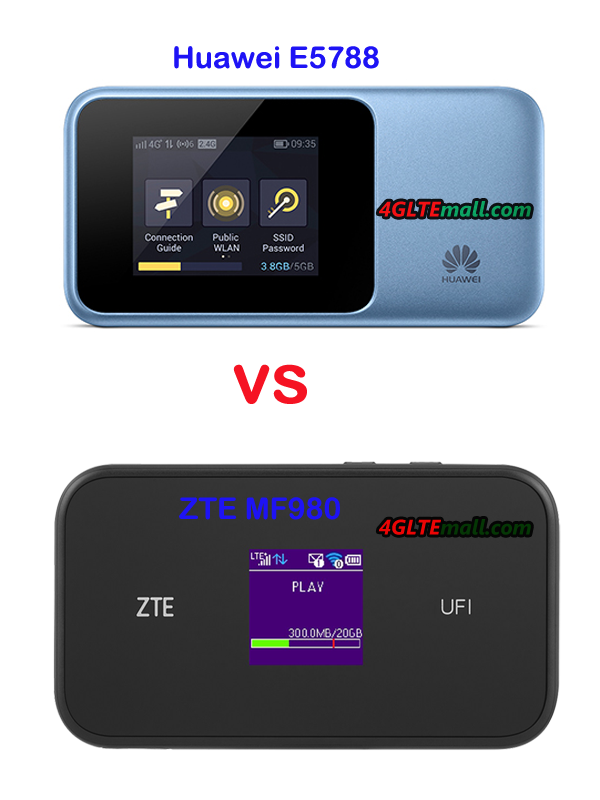 We think this feature is also not good comparing with another LTE-A pro mobile router Netgear Nighthawk M1, which has large battery capacity and could be removed for changing to spare battery.